Africa seldom leaves foreigners indifferent, either you love it or you hate it, it goes from apprehension to attractiveness, from refrain to call for action and investment, with sometimes mixed feelings of fear and fascination and trust taking a long time to build. This huge continent with its high potential in natural resources and fast growing population is now facing important human, social, economic, political and structural challenges. 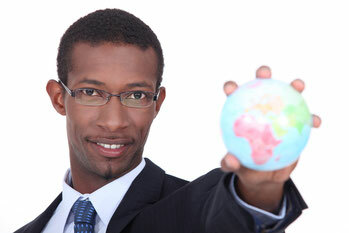 Potential investors targeting countries such as : Congo, Nigeria, Kenya, Ethiopia, Angola or South-Africa may be refrained from investing due to social unrest, political or economic instability and the sharp slow down of the global economy (namely the drop of the oil price) also directly impacts these emerging economies (all of them not developing at the same pace). Tanzania enjoying more local stability is becoming the third biggest economy of Africa and the most important economy in East Africa, namely thanks to its new logistical facilities and International Container Terminal Services (China funded) in Dar Es Salaam. As the conduct of international business closely intermingles with cultural awareness, a lack of awareness of African cultural diversity and local identities will deteriorate the quality of the business relationships, making the negotiation processes still longer and more costly. Cultural clash can compromise future discussions or even lead to a failure if we, as foreign investors, are not acquainted with the African mentality and local customs. Massive numbers of diaspora Africans want to go back to work in Africa and employers are more looking within the region for home grown talents, partly explained by the improvement of tertiary education. Some countries also seek to reduce their trade balance and their energy dependence such as Nigeria, for instance, which is building a new crude oil refinery with the aim, in the medium term, to reduce its re-imports of its own oil production once refined. These elements are combined with more senior roles being replaced with locals in part because expats are a big cost for the companies. Some amazing business success stories as fast as dizzying can be observed throughout Africa. The desire to develop rapidly and grow more independent from external know-how influences their attitude towards foreigners, which is also still linked to the colonial history of each country. Today's African elite has either been highly educated in the best universities out of Africa or are tremendously rich and powerful, or both. The African economy is closely interconnected with foreign companies leveraging funds, bringing their expertise and experience that these countries still lack in many sectors of the economy. Unfortunately, rampant corruption, the absence of functioning public institutions, the need of more modern infrastructures, internal conflicts of all sorts and the still low enrollment rate of the lower social classes (and poverty) undermine if not compromise the efforts made to develop their country. Different business routes are opening up in emerging economies in Africa which could redefine business maps on the continent. The famous Anglo-Saxon slogan "time is money", synonym of need to be efficient and make the most of your time which is regarded as scarce. Losing time may let you lose money or miss a (business) opportunity and the focus is to reach your target in the most possible direct way by focusing on an action plan. "Time is money" in the African way can be understood the other way round: time is plentiful and is part of the negotiation process, rushing through it is most probably a source of failure. They have time on their side, time to discuss and build relationship, they are most of the time less in a hurry to sign a contract than their foreign suppliers, their natural resources are not stored in a cost effective warehouse but can be extracted at any time from their soil, which they own. Tomorrow is another issue and they globally prefer stick to the present time which inevitably slows down the negotiation process. Although African top executives are well aware of the needs and plan for the future, the urgent and the important are sometimes confused in our mutual calendars: urgent for whom and important for whom? Commissioned people who are expected to speed up the negotiation process through their entry to influential people often cost a lot and do not always speed up the process. Executives in charge of the operations may also lack, if not technical skills, management experience. For some contractors, arriving very late, delaying negotiations in final phase or postponing the signature of the contract are common attitudes which can be regarded as a sign of power from the Chief Executive Officer. Time can be used as a strategy and priorities on the agenda are not the same on each side of the table. Negotiation is based on the quality of relationships, so take time to build a relationship before, during and after the meetings and create trust. Showing a sincere interest in the social and economic life of the African partner 's country as well as for one's traditions are appreciated and are not regarded as a waste of time. They are just the first step to establishing a business relationship in respect for their business customs. Enquiring globally about the family is usually well received when discussing face to face. Some business meetings can take place late in the evening, making them more discrete. Today the African territory is shared between hundreds of tribes, many live in peaceful agreement with other tribes, others are in constant rebellion or maintain fragile stability over the land. Some big tribes supersede the notion of nation because they settled much earlier on territories (over different countries) before the maps setting the current boundaries between countries were drawn. Nowadays, most tribes still share a common language, local customs and traditions which have been transmitted orally from one generation to another by families, but also through the arts or commerce. They globally concentrate in particular geographical areas and they also share common values but not obligatory a common religion. They offer as much diversity as contrasts. The members of a same tribe share a strong sense of the community, they recognise each other and the belonging to a clan or a village affects their relationships with people from other clans. The advantage given to the members of the clan also influences their business relationships. Past events and the reputation that a particular tribe built over time are so deeply rooted in the common memory that it can still nowadays influence positively or negatively their relationships with members of other clans, often no matter their educational background. Though the group culture remains predominant in the majority of the African population with the loss of face and shame as penalties, high ranked civil servants, members of the governments or successful business people, “the happy few”, are developing individualistic behaviours caring sometimes more for their immediate profit and close family circle than for their community of peers and the common good. Inherited from the archetypal figure of the "chief", the clan leader, the boss traditionally represents power and authority, his appointment to this function usually implies respect and submission from his subordinates. As a matter of fact, he/she is the one referred to take a decision, to advise, to find a compromise or settle a dispute, a bit like a father, because he/she is supposed to know all about the business and the life in the office. Delegation is not common and relationships usually come before tasks. Foreign executives may struggle when managing local staff usually which are not acquainted with delegation, talents acquisition, taking responsibilities, sharing of knowledge, expertise, collaboration and team building. Still too many local executives lead their teams deeply convinced that their authority holds in their unquestioned power and unchallenged knowledge by fear of losing face. Education remains one key factor for the evolution of mentalities and the development for their economy. Starting business in Sub-Saharan Africa is complex, it requires an awareness of African cultures and preferably some understanding of the local customs of the target country. Adopting a more laid back, respectful, open but cautious attitude will be necessary to build in time a trustworthy business relationship. Don't miss out the opportunities!